The emphasis of the so-called the modern world on birth control as one means of body, territorial- and self-control seems opposite to the ancient rituals venerating fertiliy. Both, birth control and Assisted Reproductive Technologies (A.R.T.) have blurred nature and culture in this central field of procreation in an unprecedented way. Where (mother) nature ends and where (fathers’ and mothers’, men’s and women’s) culture may start has now become part of the human procreation practices themselves and is questioning the individual in it`s decisions and possiblitites to procreate aswell as whole societies and populations. 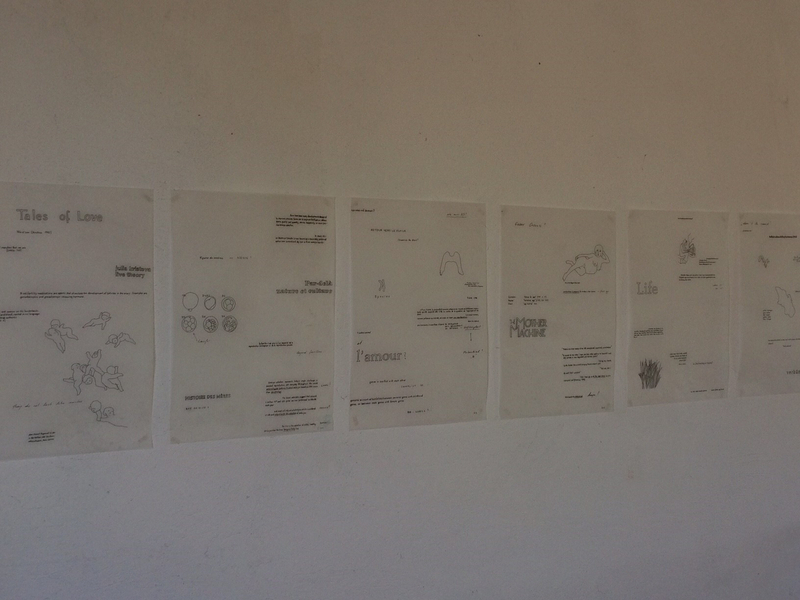 Some examples of the series of drawings mingling biochemical, medical, historical, gender and personal data adress some of the images, signs and words present in the A.R.T. world. Information and thoughts constitute the poems of the Bio-Logics of Making Life Possible. They reinvent the experience of a „life performance“ and set out fragments of a mind map where informations, images, words, emotions meet and co-exist.